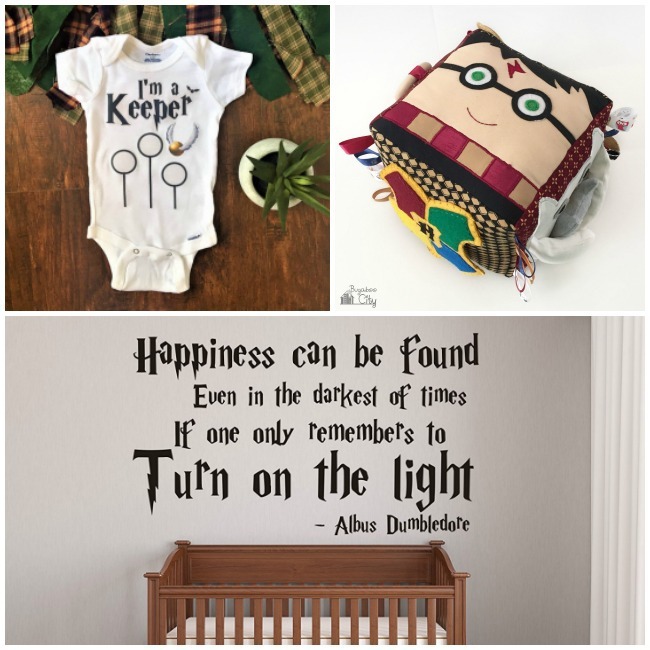 If you are a new mom (or a pregnant mom) that loves all things Harry Potter you are going to freak over this baby gear. Snuggle up with this plush Harry Potter. 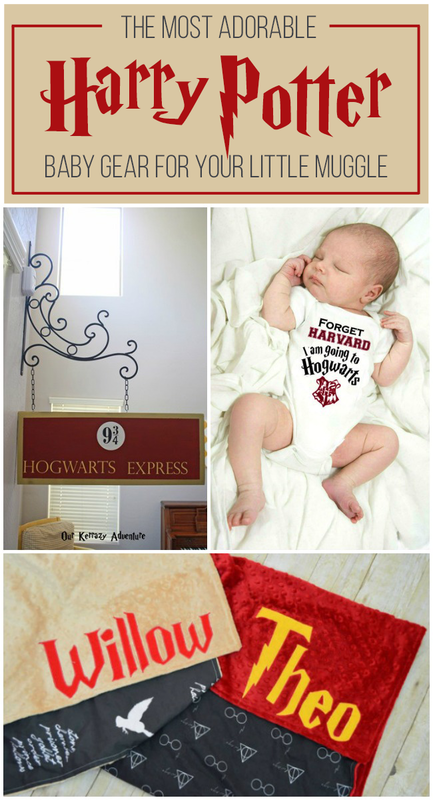 These wizard crib sheets are perfect for any Harry Potter themed nursery. I adore these comfy, custom minky blanket with your babies name on them. This is one of my favorite quotes from the books in a wall decal perfect to go above the crib. This onesie is so cute! Forget Harvard, I’m going to Hogwarts! These custom name letters are the perfect edition to a nursery! newborn props with a tiny wand, glasses and the classic Harry Potter scarf. These bandana bibs are perfect for drooling babies. Even bath time can be Harry Potter with this rubber ducky. Start saving for college now with this Gringotts Bank money box. Thanks for featuring my sign! 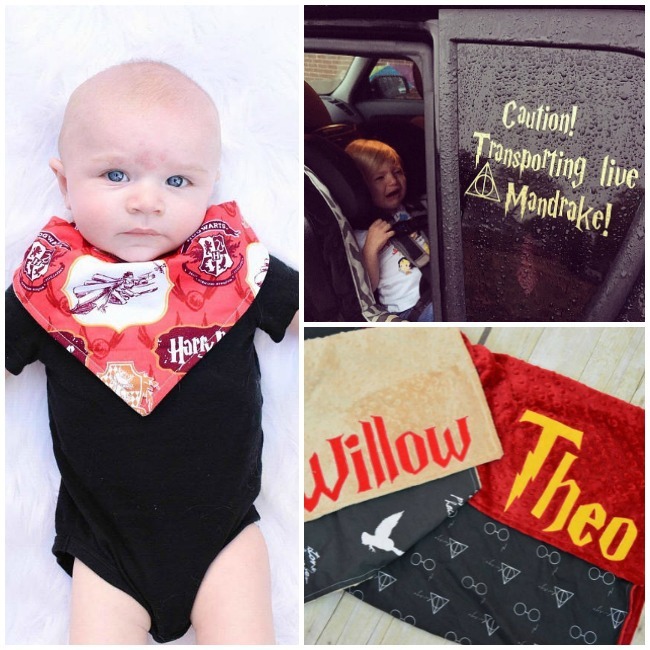 I’m loving all these baby Harry Potter ideas.